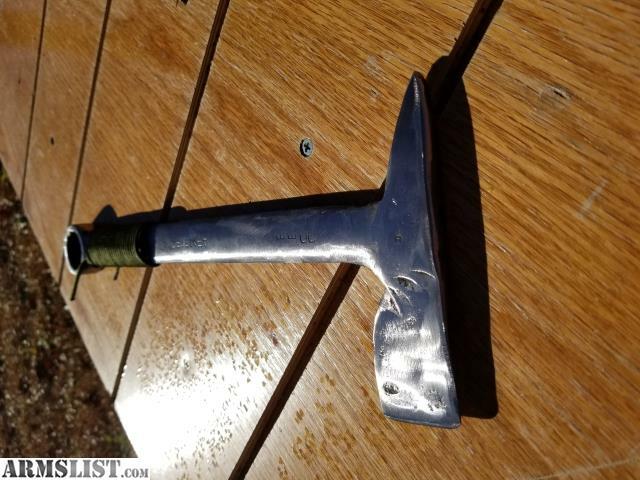 Tomahawk hand forged from an old Armstrong 30mm open ended wrench, wrench was made in the 70's. Hawk is finished with a high brush finish and green 550 cord wrapped handle. 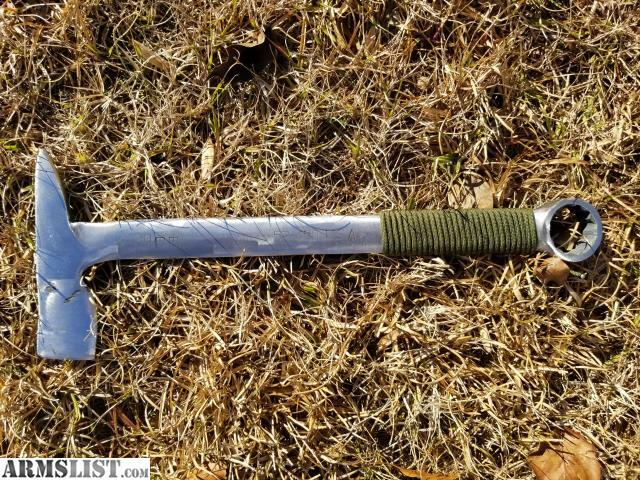 Closed end wrench on handle bottom. 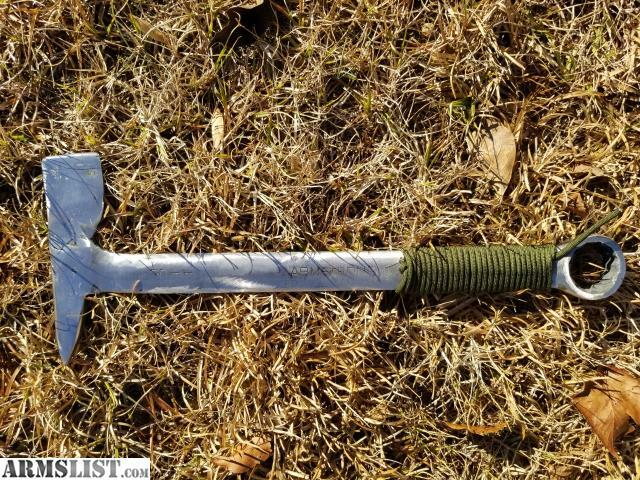 The overall length is 14 3/4 inches, total blade length from the tip of the spike to the cutting edge is 5 1/4 inches with the spike being 1 7/8 inches and the cutting edge is 1 3/8 inches. Original stamping from Armstrong on the handle so it reads "Armstrong 30mm" on one side and the model number, "USA 30mm" on the other.